SYDNEY, Sept. 4, 2018 /PRNewswire/ — Finals have arrived at FOX FOOTY, and fans living or travelling abroad are invited to join through FOX SPORTS’ Watch AFL. Watch AFL will deliver all the finals action including the showcase event – the 2018 AFL Grand Final, LIVE and on demand. In addition to watching every finals game every week across September, fans will receive FOX FOOTY’s unrivalled line-up of award-winning shows, keeping them entertained and informed across the finals month. 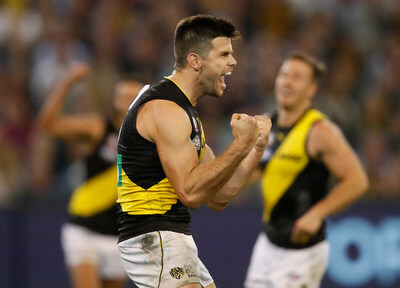 A packed schedule of award nights, documentaries, entertainment shows and special game-day coverage will go right through to after the last siren of 2018 AFL Grand Final. A special Finals Series Pass is available now, or fans can sign up for a Premium Weekly Pass from September 3-22 or a Grand Final Pass from September 17. Included in each pass is access to FOX FOOTY, the only dedicated 24/7 AFL channel, which includes the most experienced AFL commentary team keeping fans informed and entertained across the month. Eddie McGuire, Sarah Jones, Gerard Whateley, Dermott Brereton, Jonathan Brown, Jason Dunstall, Mike Sheahan, Brad Johnson, Nick Riewoldt and Neroli Meadows will lead a star line-up and deliver FOX FOOTY’s favourite programs such as AFL Tonight, AFL 360, On The Couch, Open Mike, On The Mark, The Lowdown, Bounce and The Beep Test. With Watch AFL, fans are able to pause and rewind live matches or choose where they want to start watching, with instant full match replays available. Fans are also able to watch games on two screens at the same time and download matches and shows for offline viewing. Games are spoiler-free, with fans able to turn scores off, while pre and live match notifications ensure subscribers never miss a minute of the action. Users can choose the way they watch, from the dedicated website Watch AFL, via the Watch AFL mobile and tablet apps for iOS and Android or through screens with Airplay or Chromecast enabled for all Watch AFL apps. *Watch AFL content is accessible outside of Australia.